I like to think that experiences I have had while living all over the west have had a great influence on my work. I was born and raised in Salt Lake, and am proud to once again be calling Utah home. I am currently completing a BFA at Weber State University. My current work involves someof the ideas behind knowledge making and information transfer. In my paintings and prints I use simplified imagery taken from diagrams, maps, manuals, and textbooks to facilitate an experience for myself and viewers. Through this experience I hope that viewers will come to make connections between ideas to which they have not been accustomed. Jen Hajj has a voice you will not forget. Jen made an early connection with composition as a child, noticing that music notation wasn’t just for interpreting what other people created, but it could be used to express her own musical ideas. She took her first composition to her piano teacher, who played through the poorly notated piece, and gently introduced music theory into Jen’s instruction. This is where her songwriting began. She moved to Utah in the mid-1980’s where her musical career began to take shape, singing with various choirs (school, professional and semi-professional groups) and moving her way into the church music scene. While working with various churches, she rediscovered her desire to write her own music. She entered music school and studied vocal performance and composition. Jen was excited to gain theoretical knowledge and improved with the required daily keyboarding practice, but the daily choral and vocal practice left her hoarse and breathless. She made the difficult decision to quit choral conducting and dropped out of opera school. While she was at a local music shop to buy her first guitar, Jen met Tony Polychronis, the host of the local bluegrass radio show. Not knowing her at all, he invited her to assist with his show and later with his summer folk music festival. Later, she inherited the radio show and still spins bluegrass from 2-5 every Sunday afternoon, except when she is touring. 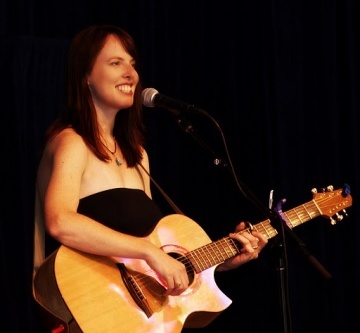 For Jen, being a part of the folk music scene is like coming home. She hopes that when you hear her sing, that you feel it, too. I have been painting for 10 years exploring mostly abstract figural work. My work has been at The Brad Metcalf Gallery, Palmer’s Gallery(Intermountain Artist Show), IAO Gallery, Evergreen Framing and Gallery as well as other art auctions including: The Waterford School and The Odyssey House. I work in acrylic and oil. At present I work from my home studio in Murray, UT. I am an artist painting mostly animals and family in oil and watercolor. I also draw my own version of naturalist drawings in graphite. Currently employed as a designer, and developing my art career. More info at my website: www.matthewhall.info Artwork includes: Ceramics, Poetry/print/appropriation, altered texts, figure drawings, and photography. Professional nightlife, DJ, and event photographer and entrepreneur. I have always had a desire to paint. I started in the 70’s but had to give it up to earn a living and support a family. After suffering two heart attacks and two strokes in 2006, I was forced into disability/retirement. As therapy, I once again took up my palette and brushes. I have since studied with several professional painters in the Salt Lake area. I have also take a portrait painting class; and presently I am taking a drawing class and a class in the fundamentals of landscape painting. My passion has become plein air painting when the weather allows. I paint almost daily (if not, I am doing something to promote my work). I exhibit at Art-at-the-Main Gallery in the Main Library in downtown Salt Lake City. Painting has become my passion, and I want to share it with others and hope they enjoy my work as much as I do creating it. “Creativity is a drug I cannot live without.” This quote by Cecil B. DeMille profoundly resonates with me. It complements my self-imposed commitment to expressing my innermost thoughts and emotions. I become breathtakingly stimulated as I take an idea and watch it reveal itself to me and through me. In 2006, I survived two strokes and two heart attacks. As a result, I was placed on disability from my corporate career. I then once again tapped into my creative nature to paint (I had abandoned painting in the ‘70’s to earn a living). Now, I am a neo-abstract expressionist. Abstract painting is like jazz; the artist improvises on a theme or idea and brings it to climax. Like the jazz musician who uses melody, chords and rhythm, I improvise through the use of composition, line, color, and texture. I paint until I have fully expressed my original idea. At times, a single idea may lead me to a single color or a technique or material I want to explore. I allow the painting to take on a life of its own. I paint until I have fully expressed my original idea – until the painting reaches that climax. I study the works and techniques of other artists, and consider myself a lifelong student. I am passionate about my work and love to share it with others. 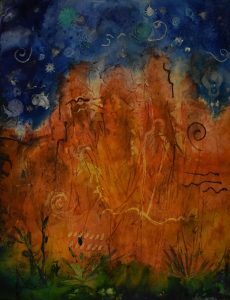 Elaine S, Harding is an experienced multi-media artist, art educator, and community arts facilitator based in Salt Lake City, Utah. For 35 years, Elaine has been making her own artwork, which combines photography, sculpture, printmaking and projected video. 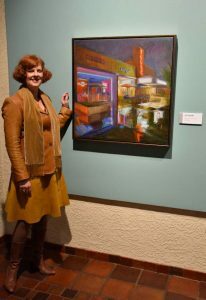 Her artwork has been exhibited at galleries and museums throughout the Intermountain Region, including; Phillips Gallery, Gayle Weyher Gallery, Lumiere Gallery, the Canyon Gallery, the Utah Museum of Fine Arts, the Nora Eccles Harris Museum of Fine Arts, The Church Museum of Art and History, Dooley Gallery, Gittins Gallery, Art Access, Springville Museum of Art, FInch Lane Gallery, the Union Gallery, Pierpont Gallery, the Salt Lake Art Center, the Missoula Museum of Art, Marcus Gallery, the Atrium Gallery, Old Town Gallery, and the Jewish Community Center. Elaine's artwork is part of private, corporate, and government collections. Along with creating and exhibiting her own artwork, Elaine has also worked to bring the creative process and authentic art-making experiences to young people and their families throughout Utah and Southern and Northern California. For 19 years, Elaine has taught and facilitated collaborative art-making. Some of her projects include: billboards, bronze sculpture, murals and public installation art. She has multiple years of experience teaching art to all ages…from pre-school through elementary, junior high, and high school and at the university level. Elaine served as the founding director of Salt Lake City's Global Artways, a citywide arts education program, from 1997-2003. During her time at Global Artways she also launched the Kennedy Center Imagination Celebration of Salt Lake City whose inaugural year was part of the 2002 Olympic Winter Games Arts Festival. Elaine helped found and serve on the board of The Leonardo, a science-tech-art center opening in downtown Salt Lake City, April 2011. She currently serves on the Leo's education advisory committee. Elaine served for 3 years as the Director of Art Works for Kids, a non-profit foundation that brings arts education into Utah elementary school classrooms. Elaine also worked as a mentor artist for the international 'Picturing Peace' program, a collaborative project between the University of California at Irvine and the University of Ulster in Northern Ireland. Elaine holds a Bachelor of Fine Art from the University of Utah, as well as a Master of Fine Art in Inter-Media Video Installation. Additionally, she holds a Utah State Secondary Teaching License in Visual Art. 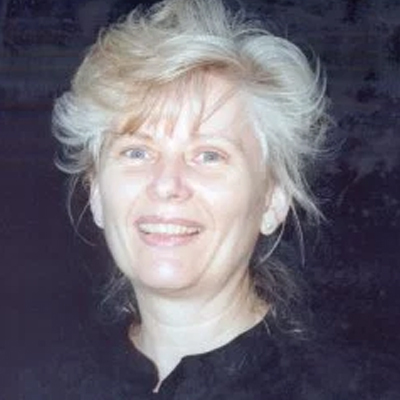 As a young artist, Violist Leslie Harlow participated in master classes with William Primrose, Paul Doktor, Donald McGinnis, Heidi Castleman and Nabuko Imai. Her primary teachers were Marna Street, Susan Schoenfeld, Paul Doktor, and violinist Harry Shub with additional lessons with Heidi Castleman, Donald Wright and Francis Tursi. Chamber coaches included Felix Galimer, Samuel Rhodes, David Soyer, Paul Doktor, Charles Castleman, Robert Sylvester and Julius Baker. Following graduation from Juilliard, Ms Harlow founded the Deer Valley Chamber Music Festival in 1984. 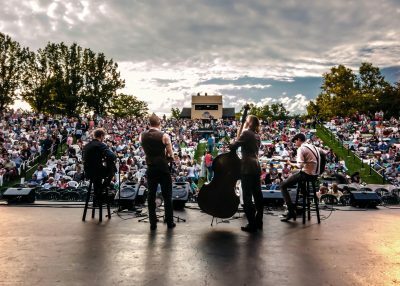 Renamed the Park City International Music Festival, the festival continues as Utah’s oldest classical music festival, having presented over 520 concerts. Co-Director of the Autumn Classics Festival, the Sonolumina Chamber Orchestra and the Contemporary Music Consortium of Utah, Leslie Harlow also founded and directs the Park City Film Music Festival. Ms. Harlow has recorded as principal violist and soloist for film scores including the movies “Murder in the First” and “Surviving Picasso.” Prior to Juilliard, Ms. Harlow was Assistant Principal Viola with the Oklahoma Symphony, performing at festivals in Oklahoma, Texas, Missouri, North Carolina and New York. While studying in New York, she performed chamber music and recitals in New York City and at the Skaneateles Festival. In Utah she has taught chamber music at Brigham Young University, served as director for the Virtuoso Series and Principal Violist with Ballet West before resigning to perform with the Utah Symphony. Ms. Harlow has also appeared as guest artist with the Sitka Festival (Alaska), Lyrica Series (New Jersey), Piatigorsky Foundation (New York), and Bargemusic (New York) as well as performing chamber music for the International Clarfests in Baltimore, Texas, Utah and Vancouver (Canada). She has performed on tour in Europe with the Juilliard Orchestra and the Utah Symphony. 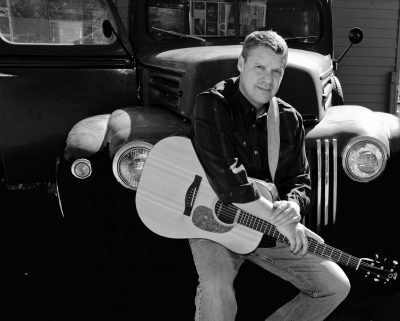 Rob Harmon Singer/Songwriter – Heber City, Utah Rob Harmon is a singer/songwriter who delivers from the heart. Beautiful and simple acoustic melodies are paired with his personal, occasionally gut-wrenching lyrics, to paint vivid images in the listener’s mind. Whether playing one of his heartfelt originals or a cover that he loves, you will hear a voice that captures the emotion, the moment and the setting of that song. Rob is an accomplished guitarist and has a lot of fun interacting with the audience when he is on stage. In fact, it’s hard to tell who is having more fun at one of Rob’s shows, the audience or Rob! Rob grew up in a musical family near Salt Lake City, Utah and singing came naturally from the start. As a child, he was surprised to learn some families don’t sing all the time. His early musical memories involve listening to his Dad play guitar around the campfire while uncles, aunts, cousins and siblings sang along. Rob’s first performance to a room full of strangers came in third grade, when he sang John Denver’s “Matthew” to a student/parent assembly on ”Back to School” night. Later, on a rainy family camping trip, Rob’s love affair with the guitar began. His dad showed him a handful of chords and there was no looking back. It wasn’t long before Rob was finger-picking all of his favorite folk songs and then began writing his own. When he became a father himself, Rob drifted away from performing and only played and sang as a hobby, focusing on raising kids and securing his non-musical career. But, the music within him could not be silenced and starting in 2008, Rob began to perform live again, and to spend more time working on the craft of songwriting than ever before. His recent compositions have benefited from those years on simmer. His music shows the depth of a man who has lived, loved and lost. Rob’s heartfelt songs like “Voices of the Heart” (written to his non-verbal autistic son), the upbeat “I Could See Myself Loving You”, and the soulful “Imagination,” ring with truth, reality and the various ways in which we experience love. Ultimately, for Rob, the most important role of music still revolves around family. His children all sing and he is more than excited to play the role of campfire song leader every chance he gets. And to boot, his Dad who started it all, is one of his biggest fans. I impersonate Cinderella, Snow White and other princesses to Salt Lake City areas for children’s events and birthday parties. A princess party includes singing, dancing, stories, princess games, face painting and balloon twisting. My beadweaving uses engaging color play and rich textures to create jewelry and decorative art which draws the viewer to explore the work visually and tactilely. I weave gemstones and tiny seed beads into elaborate designs by hand, using traditional, contemporary and original beading techniques. My inspiration comes from nature, other artwork and from everyday life. A particular gemstone or color combination can spawn a new design. I choose not to limit myself to a single genre. Instead one piece may have classic elegance while the next can encompass ethnic, contemporary or avant-garde design elements that are unexpected and unusual. In addition to my past focus on jewelry design I am also working with beaded textiles to create decorative and functional artwork. I seek to create unique art that both continually challenges my and brings joy to the collector. Heidi Hart is a Pushcart Prize-winning poet and singer based in Salt Lake City. Her books include the memoir GRACE NOTES (University of Utah Press, 2004) and the four-poet collection EDGE BY EDGE (Toadlily Press, 2007). Heidi holds an MFA from Sarah Lawrence College, where she studied both poetry and music. Her recital work has ranged from medieval Norwegian music to contemporary art song; her latest project is a concert titled “The Body Politic” that includes music of Schubert, Hanns Eisler, John Adams, Osvaldo Golijov, and Frederic Rzewski, in collaboration with pianist Jason Hardink and poet Maria Melendez. Heidi is also working on a collection of essays exploring intersections of art and violence, with the help of a Utah Arts Council grant for travel and research in 2007. Heidi teaches creative writing at Westminster College and has a private voice studio in her home. In her treasured free time, she loves hiking and making music with her two sons. Composer’s Fellowship recipient and teaching artist Bill Haymes conducts professional development workshops nationally, leading teachers through a step-by-step process of rewriting familiar songs in order to explore and explicate a specific core-content topic, and to retain what is learned during that exploration. His basic workshop directly addresses the Common Core mandate to have all subjects support student literacy. He has worked as a teaching artist for over 30 years and is on the artists’ roster for the Utah Arts Council, the Tennessee Arts Commission and the Arkansas Arts Council. 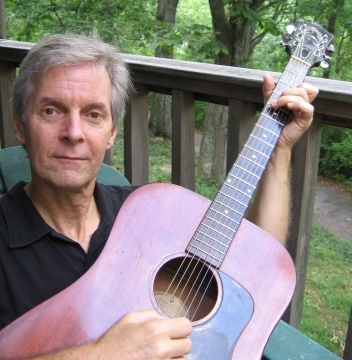 His basic workshop — Songwriting for the NOT very musical — uses music and melody as its medium but is at its core a creative writing experience and an instructional technique designed for any classroom teacher, not just music specialists. Participants need no special musical skills. Because the core content topics are usually chosen from the science or history/social science fields, this songwriting process ties in directly with the Common Core mandate to support literacy in all subjects. Teachers in ELA, history/social science, science or technical subjects should find this instructional technique extremely helpful in "using their content area expertise to help students meet the particular challenges of reading, writing, speaking, listening, and language in their respective fields." * *Passage quoted from "http://www.achieve.org/files/CCSSLiteracy.pdf“ Implementing the Common Core Literacy Standards…” Bill’s workshop addresses numerous Common Core standards. ARTIST’S BIOGRAPHY A life-long musician and singer-songwriter Bill Haymes continues to write songs and perform them in Nashville TN. He toured professionally as a singer/songwriter through the 1970s and 1980s while working concurrently as a teaching artist in music with the Arkansas Arts Council’s Artist-in-Education program. As a performer, he played music at over 150 colleges and universities in North America, in various community concerts and folk clubs nationwide, and toured internationally in Brazil, Bolivia, and Paraguay. As a teaching artist, he worked statewide at dozens of Arkansas public schools as an AIE artist in music & songwriting, doing one long-term (nine-week) songwriting residency for the Georgia Arts Council. He has appeared on “A Prairie Home Companion" and several times on “River City Folk.” He also performed at the Kerrville Folk Festival, where—over the years— he was both a New Folk winner and a five-time mainstage performer. He has five studio albums to his credit and received a Composer’s Fellowship from the Arkansas Arts Council, which allowed him to record and release his full-length recording "Anima / Ocean." During most of his one-week teaching artist residencies, he specialized in leading elementary students through the step-by-step process of composing an entire song using their own ideas—from generating a concept and a title, to writing lyrics for the refrain, composing melodies, and finally writing lyrics to the verse(s). For the last five years, Bill has changed his focus to work primarily with teachers. In his basic workshop, he shows teachers how to lead their students in working collaboratively to rewrite familiar songs to explicate and teach specific subject matter. In his advanced workshop — Writing a song from scratch — he shows teachers, step-by-step, how to lead their students in writing an entire original song — music and lyrics — from start to finish. He has give professional development workshops at 11 of the 15 Education Service Cooperatives in Arkansas over the past five years, being invited back repeatedly to several of them. He has also given workshops at colleges and for arts councils. He recently completed a 4-day residency for ArtsFusion at Southern Utah University. He currently lives in Nashville TN, where he is valiantly attempting to learn to speak and read French. Progress is slow. ARTIST STATEMENT I have always felt that art is based in play. Those who play with sounds and rhythms as children often grow up to be musicians (as I did). I enjoy leading others in writing (or rewriting) songs collaboratively because it is a way for me to share with them the simple but profound pleasure of playing with words and music, sound and rhythm, ideas and images, and also the pleasure of making something new—of creating something from a single thought, a single phrase, or one powerful image. And, if I am successful, I have also given them the tools to lead others (their students) in doing the same – creating something from (almost) nothing. And thoroughly enjoying the process as they do so.” Photo credits: Cover of "Brave New World" CD by Alan S. Weiner. Cover of "Out Into The Light" CD by Bill Parsons. ArtsFusion photos courtesy of ArtsFusion, used by permission. Bill in Utah photo by C. Trenholm, used by permission. 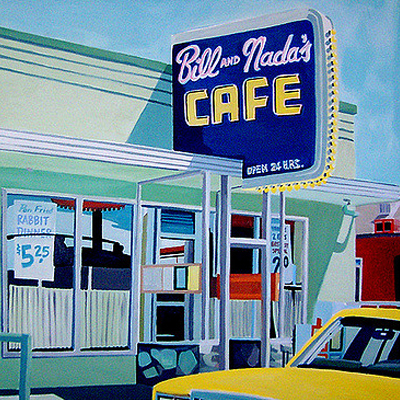 I’m a Salt Lake City artist who focuses on local nostalgia with a pop art style. I like to call my work “Pop-Nostalgia’. My work is available at the Main Library store, Utah Artist Hands and the Michael Berry Gallery. My work is also available for public and private commissions. Rachel Hedman is a fusion of energy who takes everyday events, discovers the adventure behind them, and shares the stories with everyone. Since 1994, she has been involved with storytelling. She jumpstarted the BYU Storytelling Club in 1997 and now serves as Co-Chair of the Youth, Educators, and Storytellers Alliance (YES!). She is also President of the Utah Storytelling Guild Olympus Chapter–Salt Lake area. She presented workshops at the 2007 and the 2008 National Storytelling Conferences and writes a column for the "Storytelling Magazine". She is spearheading the approval of the Boy Scouts of America storytelling merit badge. Join Voice–A Storyteller’s Lifestyle with blog posts every 1st and 15th of the month about storytelling trends in business, marketing, and honing the craft. You can also follow her artistic and marketing journey with almost daily posts at the blog of the "Family Famine: Hunger for Love" narrative production to premiere February 9, 2009. She has a support group for the project on Facebook. While there, you can find her profile on Facebook. 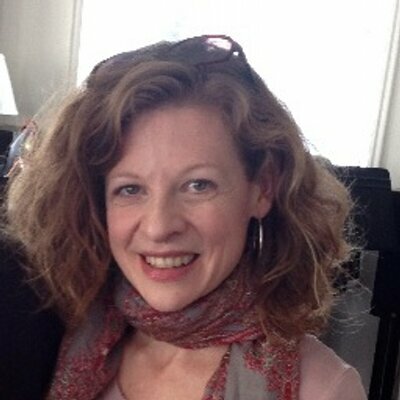 Then discover her on LinkedIn as well as on the Professional Storyteller social networking site. You can download her story "Shattered Grapes in One Row Too Many" at iTales.com. Check out the "Storytelling Adventures" merchandise through CafePress with t-shirts, mugs, journals and more. Follow her on Twitter or go to her YouTube account and watch her perform. Though seeing her live proves the best experience. Artie Hemphill comes to Utah Valley straight from the one and only "Music City” – Nashville, Tennessee. Originally from the San Francisco Bay area, Artie’s sultry baritone voice has been heard in just about every venue imaginable. As Artie took to the road in pursuit of his musical dreams, he was first drawn to Utah by his life long best friend, Dave Thurman. Playing together in the band “High Country” they spent countless hours tearin’ up the Utah landscape, showing them what real country music sounded like. But Artie’s sights had always been squarely fixed on Tennessee. Hitting the open road again, Artie’s passions took him to Nashville where he spent 10 years writing, singing, and recording country music. Since bringing his growing family back to settle in Utah, he has once again teamed up with his good buddy, Dave, to form The Iron Horse Band. And you should hear this guy sing! Have you ever gone to a restaurant and ordered something new and funky because the description sounded enticing, and then when you got it, it was absolutely the best thing you ever put in your mouth? Yeah…like that! As the “Front Man” of the band, Artie drives home the rock solid lead vocals with power and energy as well as rounding out the musical mix playing acoustic rhythm guitar. When you see him perform and hear him belt out that sweet country music, you’ll have no doubt that Artie is “the real deal”. 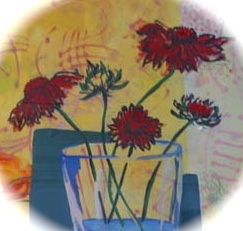 Ruth paints in all media but concentrates mainly on Oil and Acrylics. She is devoted to the beauties of the earth and the peace that it brings as she paints. It is her firm belief that there is energy and life in all the creations of earth and that there is light filling the earth and all her creations. Trying to capture that energy and light is the challenge she enjoys. Ruth was a finalist in The Artist national magazine in 1992 and 1997. Alyssa Hickman Grove is a Salt Lake City writer and theatre artist. Her acting credits include ENCHANTED APRIL at StageRight Theatre Company; RABBIT HOLE and CHARLEY’S AUNT at Pinnacle Acting Company; THREE TALL WOMEN at the Salt Lake Acting Company; YOU MIGHT AS WELL LIVE! at the London Frontier Theatre Company; CRIMES OF THE HEART at Logan’s Lyric Theatre; PACK OF LIES at Utah State University; THE DARK LADY OF THE SONNETS and CHAMBER MUSIC at Canada College in Redwood City, California; KING LEAR at Park City Shakespeare Festival; THE MERCHANT OF VENICE at the University of Utah’s Babcock Theatre; THE GREAT NEBULA IN ORION at the U’s Lab Theatre; and OEDIPUS REX at the U’s Classical Greek Theatre Festival. Her directing credits include THE AUTHOR’S VOICE at Utah State University and SHIVAREE at the University of Utah. Alyssa has studied at American Conservatory Theatre, the University of Edinburgh, San Francisco State University, Utah State University, and the University of Utah, where she received her BA in theatre. She also has been a lifelong dancer, studying ballet, modern, jazz, tap, ballroom, and flamenco. Alyssa has written for publications including The Salt Lake Tribune, Deseret News, Utah Business, Utah Homes and Garden, Salt Lake Observer, Ancestry, Catalyst, City Weekly, and Utah Bride and Groom, as well as publishers including Woodland Publishing and Ancestry.com. She is currently working on writing fiction. Singer/Songwriter Brenn Hill doesn’t just sing about the American West, he reveals its heart to anyone who will take the time to listen. His most recent release is “Ode To Selway”. Like each of his prior recordings it serves as a pathway into and through his own personal journey. Brenn is not just an observer or narrator of our Western story, but one of its strongest interpreters. Life’s trials and tribulations are his raw material. Brenn’s career spans ten recordings of mostly all self-penned music and nearly two decades on-the-road. He has won numerous industry awards and accolades and resides with his wife and three children in Hooper, Utah. He is a dynamic solo performer though is often surrounded by some of the industries most talented instrumentalists. Brenn Hill is an artist that gives great insight into the West he calls Heaven. I have a Master of Fine Arts degree from Utah State University and 39 years experience as a commercial and fine-art photographer. I try not to get carried away with the deeply philosophical. I simply have a passion for creating images that are pleasing to look at – that are inspiring, visually stimulating or uplifting. I’ve had many tell me that my style is "Painterly" and that I have inspired them to look more closely at their surroundings to find beauty where they hadn’t recognized it before. I use Catholic religious items as my medium, giving the best of my talent back to God. I create Rosaries, scapulars, and mantillas. Artist Deb Holien is a painter of dreamlike mixed media art that combines realism and abstraction. Inspiration for her abstract backgrounds comes, from the colors, shapes, and textures of nature and architecture. Realistic photo images are altered by Deb and then transferred to her painting surface. Next layers of acrylic paint, acrylic mediums, paper ephemera and gold leaf are added, partially removed & added again, using techniques of sanding, masking & glazing. Found objects such as keys, locks, books, rocks, dried plant material, and rusty metal objects are added at various stages during her artistic process. Colored pencil and oil stick are used to enhance the final details of the composition. The resulting fragmented collage with its weathered patina hints at hidden depths and unearthed stories. You can also wear Deb’s art in the form of Art Charm jewelry Art Charms are tiny reproductions of Deb’s original art (or vintage photos) printed with archival inks, sandwiched between two pieces of glass and framed with silver solder. Each of these unique double-sided miniature works of art is constructed entirely by hand. No two charms will be exactly alike. The finished Art Charms are often incorporated into a one-of-a-kind piece of jewelry that may include antique keys, beads, watch parts, feathers, gemstones, pearls and other items recycled from broken vintage jewelry. Deb accepts commissions for custom Art Charm jewelry and mixed media paintings made with the special personal memorabilia provided by her clients. 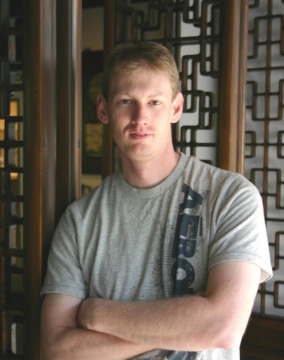 Although a native of California, Holien has been a resident of southern Utah for the past 29 years. Her award winning jewelry and artwork has been exhibited in several western states. Recently her mixed media artwork has been published in various magazines, including Somerset Studio, Elan Woman, and St. George Magazine. Catherine Holmburg is currently displaying new oil paintings at Dead Horse State Park Visitor’s Center. Holmburg’s large oil paintings depict impressionistic desert landscapes and abstractions inspired by cubism. Her work demonstrates a luminous use of vivid color. Holmburg has resided in the Moab area for the past 9 years. She is currently teaching art classes at the Moab Charter School. She is an established artist at the David Barnett Gallery in Milwaukee, WI. Holmburg has earned her MFA from Claremont Graduate School in Claremont, CA. www.christopherholmes.org A “powerful, melodious baritone” with “soul and passion” is a small sample of the enthusiastic reviews being received by baritone Christopher Holmes. Outstanding musicianship and a rapidly expanding repertoire are quickly establishing this young baritone as an artist in demand. On the operatic stage Holmes has performed over thirty roles with noted companies including ABILENE OPERA ASSOCIATION, AMARILLO OPERA, CENTRAL CITY OPERA, EUGENE OPERA, AUSTIN LYRIC OPERA, SAN ANTONIO OPERA, and SOUTH TEXAS LYRIC OPERA. His Germont with OPERA DEL SOL was praised as being “truly polished, controlled, professional and superb.” His Figaro was declared to have “radiated authority.” His presentation of the secondary baritone role of Wagner in Faust was celebrated as “some of the most stylish singing in the show.” Mr. Holmes’ affinity for opera of the 20th century is reflected in his work as the Captain in Bernstein’s Candide, Demetrius in Britten’s A Midsummer Night’s Dream, Top in Copland’s The Tender Land, and Vernon in Hoiby’s Summer and Smoke while covering the role of John Buchanan. With AUSTIN LYRIC OPERA he appeared in the Texas premiere of Heggie’s Dead Man Walking. Other roles include Gaylord Ravenal in Kern’s Show Boat at UTAH FESTIVAL OPERA and Sonora in Puccini’s La fanciulla del West at RIMROCK OPERA. In concert repertoire, Mr. Holmes has performed the Fauré Requiem, Schubert’s Mass in G Major, Mozart’s Mass in C Minor for Texas State University, Brahms’ German Requiem, Orff’s Carmina Burana, Handel’s Messiah as well as selections from Mendelssohn’s Elijah. Recent concerts in Utah have been with the Salt Lake Choral Artists in an evening of Gershwin, Kern, Porter, and Rodgers, Orchestra and Chorus of Sandy City, Murray Symphony Orchestra, and Oratorio Society of Utah Highly proficient in Italian, Mr. Holmes holds degrees in voice and opera from Oberlin Conservatory of Music and Temple University. www.hornefineart.com. A must-have artist for any Utah landscape collection. 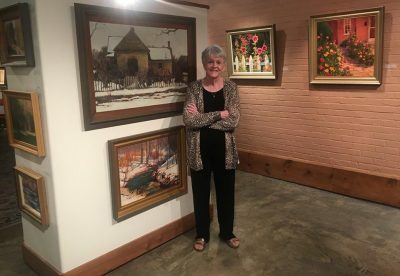 Over three decades, Phyllis Horne has established herself as a skilled painter of rural and garden scenes. Named one of Utah’s Most Honored Artists by the 2002 Cultural Olympiad Curatorial Committee, her work is featured in numerous public and private collections, including the Utah State collection at the Governor’s Mansion, the Springville Museum, and the Salt Lake County Collection. The Springville Museum of Art presented major shows of Phyllis Horne’s paintings in 2006 and 1999. She has won numerous awards including Best of Show at the Utah State Fair. While she is adept at capturing all the seasons of the western landscape, Phyllis Horne is especially sought after for her paintings of gardens. Born in Richfield, a rural community, she has a unique sympathy for the West’s fast-disappearing landscape. Her paintings evoke memory and a deep respect for place. Phyllis Horne’s work is available at HORNE Fine Art, a spacious gallery in downtown Salt Lake City, (142 E. 800 So. – 3 blocks south of Library Square). Visit online at www.hornefineart.com. Hot House West is the premier Gypsy jazz band in the American West. Established in Salt Lake City, Utah, Hot House West creates a unique flavor of hot jazz, drawing inspiration from Gypsy jazz greats, such as Django Reinhardt, Stephane Grappeli, Tcha Limberger, Biréli Lagrène, and Gonzalo Bergara, and the American masters of swing, including Duke Ellington, Louis Armstrong, Fats Waller, and Count Basie. An adaptive and adventurous ensemble, Hot House West has performed throughout the United States and Europe. The band’s dynamic performances, characterized by explosive guitar playing, the rich wail of horns, and a little big band punch, have been enjoyed at DjangoVegas, Timpanogos Storytelling Festival, Greeley Jazz Festival, Salt Lake City Jazz Festival, and the Sundance Film Festival. Whether as a trio, quartet, or seven-piece ensemble, Hot House West creates a vibrant tapestry of sound, featuring the sophistication of bebop, a deep, propulsive swing, and an improvisational spirit that honors the lineage of both Gypsy and American jazz. Hot House West began in 2011 as a small combo in the University of Utah Jazz program. The band was formed by Nathan Royal (guitar), James Martak (guitar), and Kevin Schultz (upright bass), who were inspired by a performance by Frank Vignola, a contemporary Gypsy jazz guitarist. With instruments in hand, and a passion for the music first championed by Django Reinhardt and Stephane Grappeli, Nathan, James, and Kevin took the first steps of what would become a truly unique musical adventure. Over the years, Hot House West has grown from its humble beginnings to one of the most sought after bands along the Wasatch Front. The group has performed all over their home state of Utah and the Intermountain West region, as well as more far-flung destinations, including Atlanta, Montréal, Boston, Paris, and Athens. Along the way, they’ve had the opportunity to study under and share the stage with many fantastic musicians, including Frank Vignola, Tcha Limberger, Dennis Chang, Stephane Wrembel, and many more. After living In Chicago for 22 years, performance poet, Jean Howard, returned to her hometown, Salt Lake City, Utah in 1999. Her poetry has appeared in Harper’s Magazine, The Burning World, Spoon River Review, Chicago Tribune, among over one hundred other literary publications. A participant in the original development of the internationally acclaimed "Poetry Slam”, she was awarded two grants for the publication of her book, Dancing In Your Mother’s Skin (Tia Chucha Press), a collaborative work with photographer, Alice Hargrave. Howard has performed her poetry at hundreds of venues nationwide, with such diversity as Chicago’s Big Goddess Powwow, the Guggenheim’s “Art of the Motorcycle Exhibit” at the Field Museum, Chicago’s Museum of Contemporary Art, The Harold Washington Cultural Center, the Salt Lake Arts Festival, Utah Humanities Book Festival, as well as churches, coffee shops, mortuaries, art galleries, pet shops, festivals, biker bars and of course the infamous Green Mill where the “Slam” began. Currently, Jean serves on the Board of Brolly Arts and the Advisory Board of Utah Arts Alliance. She organized the annual National Poetry Video Festival in Chicago for eight years, with her own award-winning video poems airing on PBS, cable TV, and festivals around the nation. It’s Rosemarie’s belief that storytelling helps build bridges between cultures and enables us to see things from another’s perspective. The power of story can help heal emotional wounds, build a classroom or corporate culture, and connect us with our families — past, present, and future. Story is the thread that binds our lives together. 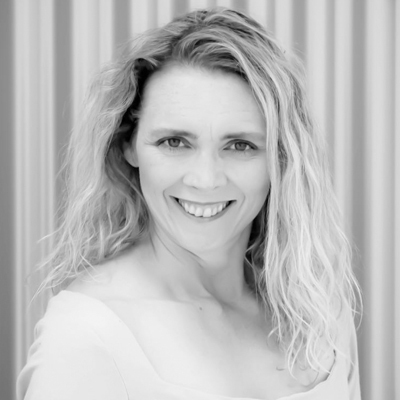 She brings a background of theatre and education to her performances and workshops. Using her storytelling performance and coaching skills, along with theatre games and activities, music and puppets, she promotes literacy skills and facilitates: • understanding of story structure and writing • increasing listening skills • use of imagination • creating a classroom community She agrees wholeheartedly with this statement made by the U.S. Department of Education: “Storytelling can ignite the imaginations of children, giving them a taste of where books can take them. The excitement of storytelling can make reading and learning fun and can instill in children a sense of wonder about life and learning.” For the past fifteen years, Rosemarie has been telling stories in a variety of venues: libraries, schools, church gatherings, birthday parties, and corporate Christmas parties. She has performed at the Timpanogos Storytelling Festival, the Weber State Storytelling Festival, the Hans Christian Andersen Festival, and Provo First Night, Thanksgiving Point’s summer children’s program, Red Butte Garden’s Garden After Dark, and the Salt Lake City Grand America Hotel’s Christmas Tea. For eight years, she coordinated and performed as a storyteller for audiences of all ages at “Artful Tales,” a weekly Monday evening event offered by the BYU Museum of Art. Rosemarie is available for performances, residencies, and workshops. She is open to working with other artists. Performance needs: A hand-held microphone for large performance spaces. Other specifics will be discussed with individual organizations Over the past nine years, Rosemarie has worked with elementary school children as an artist-in-residence with the Utah Arts Council telling stories and helping children and their teachers create story theater. It has been a richly rewarding experience. Using arts in the classroom can encourage and inspire students, and their teachers, to learn and accomplish things they might not otherwise have attempted doing. Rosemarie would love to work with you and your students. Her company, Dramatic Dimensions, L.L.C. offers arts-based curriculum packages that focus on required core curricular subject matter. A package entitled “Professor Puppet’s Adventure in Nicotine Land” is currently available, and can be found online at: http://www.creativetools4teachingkids.com. Please visit her website for more information about Arts Council residencies, workshops, and storytelling performances. She can also be reached at 801-342-5435. A lifelong Utahn, Susan Elizabeth Howe was born in Provo and raised in Pleasant Grove. She has been a member of the BYU English Department faculty for over twenty years. Her poems have appeared in such journals as The New Yorker, Poetry, Shenandoah, Southwest Review, and The Southern Review. She has been a contributing editor to Tar River Poetry, the managing editor or The Denver Quarterly, and the poetry editor of Dialogue: A Journal of Mormon Thought. Her poetry collection Stone Spirits won the Charles Redd Center Publication Prize and the Association for Mormon Letters Award in poetry. Susan is married to Cless T. Young and lives in Ephraim, Utah. Jenevieve spent her early childhood years among the natives of the Pilot Station Traditional Village in Alaska where she was immersed in their sites, smells, sounds and stories. There she was introduced to the strange juxtaposition of a consumer based western culture mingled with ancient tradition, animatism and subsistence living. As a teenager she quickly became an outsider of another sort as she attempted to understand an alien world of traffic lights, milk, shopping malls, hair dye and pop music. She made her first painting as a student at the University of Utah where she met many influential artists, was awarded the Grace Durkee Meldrum Scholarship, joined an art collective stationed in a 100 year old hospital and subsequently married her husband, painter John O’Connell. Since then, her work has been exhibited in such venues as Kayo Gallery, Maridadi Gallery, Western Wyoming Community College, Charley Hafen Gallery and the Utah Cultural Celebration Center and appeared in the Salt Lake Tribune, City Weekly and the Awkward Hour. She is currently in transition into an entirely new body of work. Using methods such as embroidered silk, carved wood paintings and performance she is drawing from her present and past experience to explore ideas of human touch, the passage of time and the influence human presence and memory can have on the creation of place. Chara Huckins started dancing with Virginia Tanner’s Children’s Dance Theatre. She earned a BFA in modern dance from the University of Utah. Chara has taught and performed both nationally and internationally. She is currently performing with Repertory Dance Theatre. Chara is an adjunct professor in the Modern Dance department at Brigham Young University. She also teaches and choreographs for various ages at Children’s Dance Theatre. Chara’s residencies encourage students to use movement as a tool of self expression and a way of communication. Through the creative process, students explore, experiment, and discover another way of learning and understanding educational concepts in a non-threatening environment. Each residency promotes engaging the whole person through movement experiences. Residencies may include creative movement classes, master classes, short-term projects, community workshops, teacher workshops, and choreography for productions. Residencies are customized for the needs of a community or school. Chara enjoys working with all ages, levels, and socioeconomic populations. Available for residencies, teacher workshops, and short-term activities. Bruce Hucko employs photography to express the ongoing relationship between people and the land. Since 1976 Bruce has taught visual art, photography and video to children in the American Southwest, USSR and New Zealand. Much of his work has been with Navajo and Pueblo children, teaching the art in an environment of cultural and community integrity. School projects integrate the visual art core curriculum, school goals and other curriculum areas where appropriate, employing specific skills in painting, drawing and photography for creative expression. Bruce recognizes that each child has a separate and unique potential that requires skill development within a creative process. He views children as creative peers whom he guides toward informed self-expression. Bruce works in drawing, painting, sculpture and photography. Drawing classes blend visual discrimination skills with the imagination. 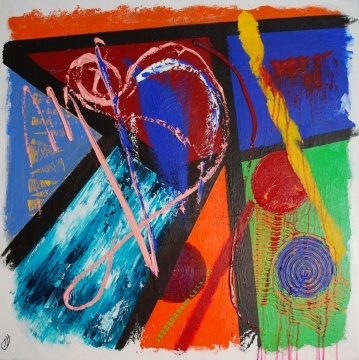 Painting focuses on color and creative image making. Sculpture is often made with found objects. If photography is needed Bruce can offer classes in pinhole photography, Polaroid and modern color and black and white techniques. Material requirements vary according to type of project. Available statewide but prefers rural schools not usually served by art programs. Bruce is available for residencies, teacher training, extended projects, collaborations with other artists, and short-term activities. Bruce currently serves as a Beverley Taylor Sorenson Arts Learning Program Visual Arts Specialist at HMK Elementary in Moab, UT. This past summer to was the lead instructor on a second consecutive NEA funded photography project directed by Bad Dog Arts in SLC. He recently co-published a book of B&W photographs and poems with his poet friend David Lee, Utah’s first poet laureate. To see it visit blurb.com and search for Bruce Hucko or Entrada. If you would like to see student work created under his direction contact him and he’ll send you some samples. Bruce always likes to hear from people who work with children in art. Hi, my name is Suzanne, or as my older brother used to call me, SUZANNA BANANA! I get even with now every time I tell MY version of the story! It's exhilerating to share stories that make people laugh, and cry and feel good just to be alive. I have storytelling programs for most occasions including Christmas, Halloween, 4th of July, pioneer day . . . tales for fun and tales for learning. Performances can be tailored to the occasion and age of the audience. Over seventeen years of storytelling has evolved into deeper meaning while portraying Utah pioneers such as Eliza R. Snow Zion’s Poetess, Mother Spencer from Orderville, and Eliza Jane and her beloved doll Betsy Buttons. All of these are performed in full costume and told in first person. I am a past president and long time member of the Utah Storytelling Guild and The Traveling Tellers. Come with me and we’ll share the magical adventure of storytelling! It all started with a dog. I adopted Rudy, a beat up mutt from Friends of Animals’ "Furburbia" and he became my muse, inspiring the whimsical, bold paintings that eventually became a series of children’s books including The Tao of Rudy and also Shoot for the Moon, Lessons on Life from a Dog Named Rudy. I am mostly self taught, supplementing my skills with classes at Kimball Art Center, Peterson’s Art School and illustrator’s workshops. Paintings are large acrylic on canvas and some gouache on paper. Visit our web site to see new paintings. www.corinnehumphrey.com. 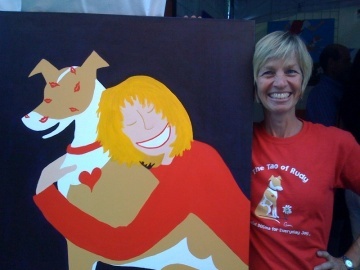 Or, come to Alpine Art Gallery on South Temple for the June 15 gallery show/sale to benefit No More Homeless Pets. I am an Actor living in Saltwood (Salt Lake City). I have been acting about six years. I have done several movies and I have done some T.V. My first professional gig was a homeless man on "Touched by an Angel." I have also done 11 episodes of "Everwood" as all kinds of people, most commonly as a miner. In fact, my brother and I were told by the "Everwood" production that we would be getting recurring roles as miner brothers the next season. However, the next thing we learned was that the show was canceled! My brother and I also have an independent coming out soon that we co-star in titled "The Adventures of Y." I play "Thug A." It’s a live action cartoon spoof on the T.V. show "Get Smart."